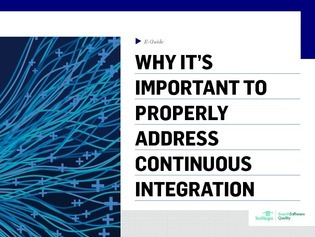 As software pros set their sights on continuous delivery, continuous integration has been increasingly overlooked – but such an important process should be given more attention. In this expert guide, software development consultant Jeffery Payne reveals what’s wrong with Agile and continuous delivery processes, why you should address continuous integration before continuous delivery, and why DevOps changes everything. In addition, explore how you can prep for continuous delivery with iterative development and why a CTO supports automated tests and continuous delivery.